This month, the Playscape received a very special donation from Concord Eagle Scout Jonathan Lilly: two handicapped-accessible picnic tables built as part of Jonathan's Eagle Scout community project. Jonathan, Concord Boy Scout troop 132, the local Scout Council, and Concord Children's Center worked with the Playscape design team to ensure that the tables were attractive, met the requirements of the Americans with Disabilities Act, and were made from recyclable, non-degradable materials. Jonathan reached out to Concord community families and local businesses to help fund the project. 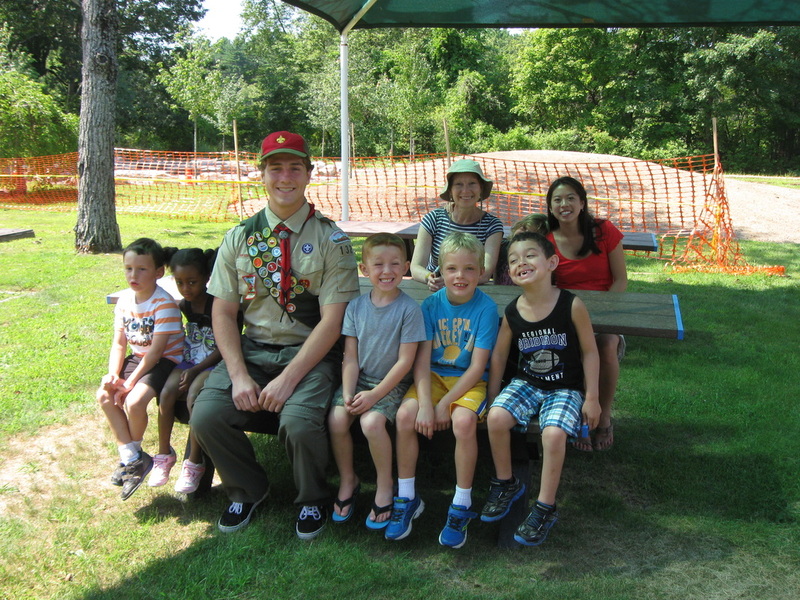 Concord Eagle Scout Jonathan Lilly and Concord Children's Center students and teachers at one of the picnic tables Jonathan built.